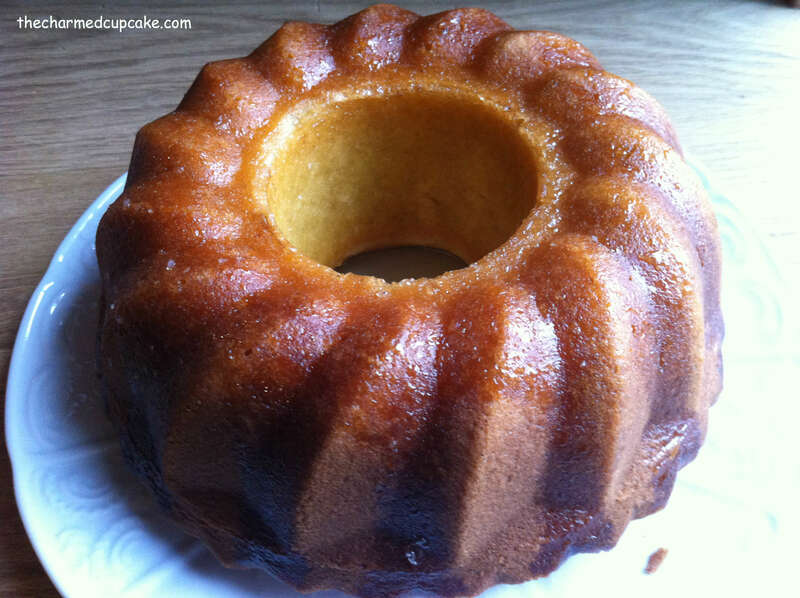 This delicious Lemon-Glazed Buttermilk Bundt Cake is The Home Bakers number 19th bake. We at The Home Bakers are baking through the book “Coffee Cakes” by Lou Seibert Pappas. The Home Bakers is hosted by Joyce from Kitchen Flavours, if you would like to join us please feel free to contact Joyce. We would love it if you joined us. 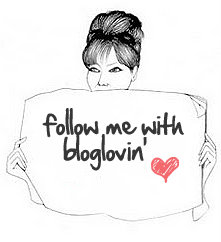 This recipe has been selected by the lovely and talented Grace from Life can be Simple. 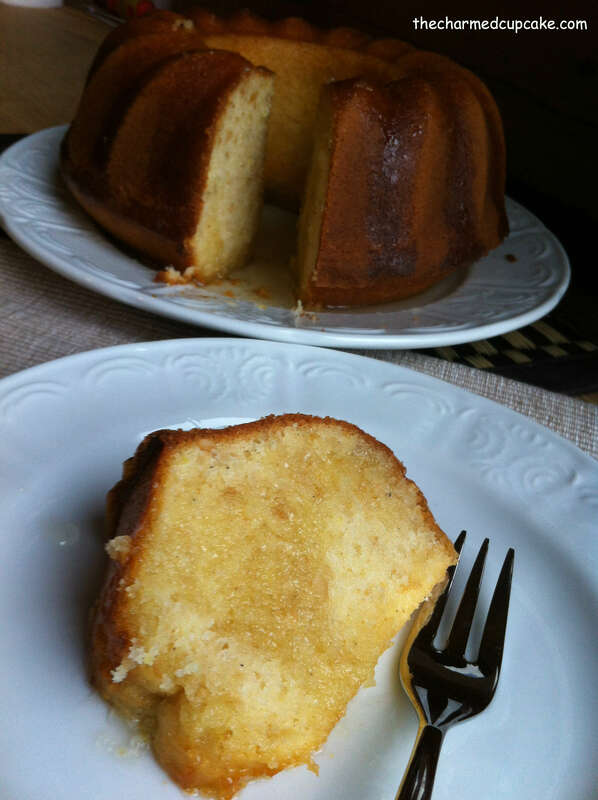 I’m so glad she picked this recipe as I love lemons as you will recall from my Rosemary-Lemon Polenta Cake. As the host of the bake is the only one who is allowed to state the recipe I kindly ask you to visit Grace’s blog for the recipe. I was at a friend’s house when I spontaneously decided to bake this cake as my girlfriend had just installed a new oven and she wanted to test it out. As she is not a baker I volunteered straight away to do the baking, so we rummaged through her pantry to see if she had the ingredients. We found everything except for nutmeg and baking soda. As baking soda is required when buttermilk is called for I decided not to make my own buttermilk (milk and lemon juice), instead I used plain flour, baking powder (2 teaspoons) and plain milk. 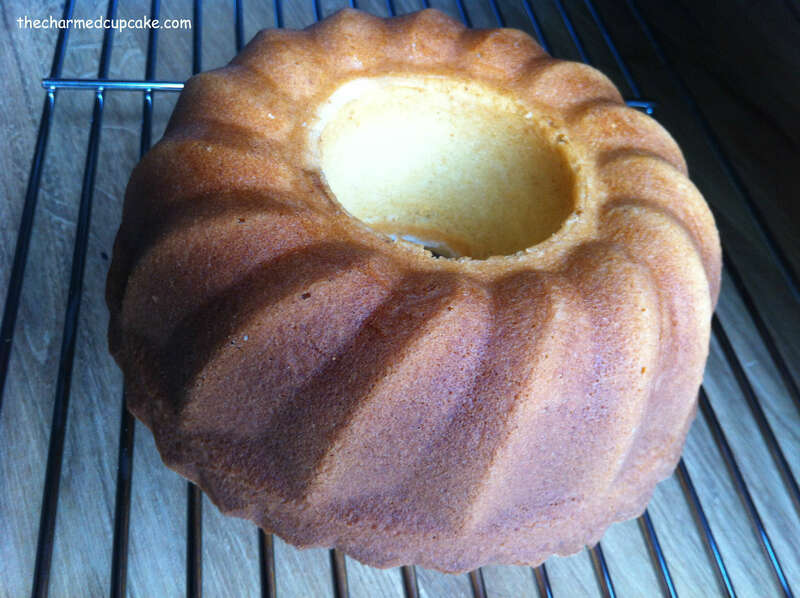 So my version of this cake is Lemon-Glazed Bundt Cake without buttermilk. 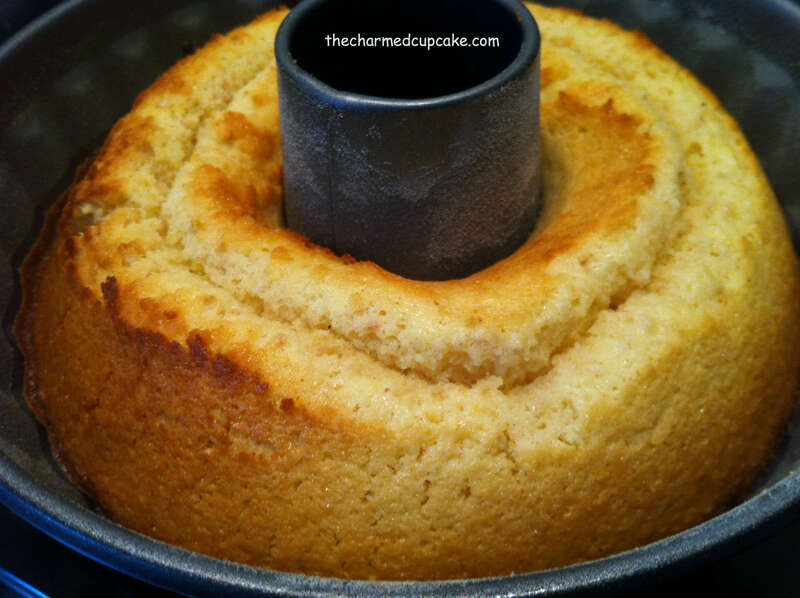 I made the full recipe using a 10 inch bundt tin. As you can see the cake baked beautifully in her new oven. It was deliciously moist and the cashew nuts gave it a lovely crunch. I really loved the lemon syrup which was drizzled over once the cake was turned out. It was quite lemony so if you are not a big fan of lemons then I suggest you omit the syrup or only pour a little. Like the other members of this bake I found that the flavour of the cake intensified the next day. 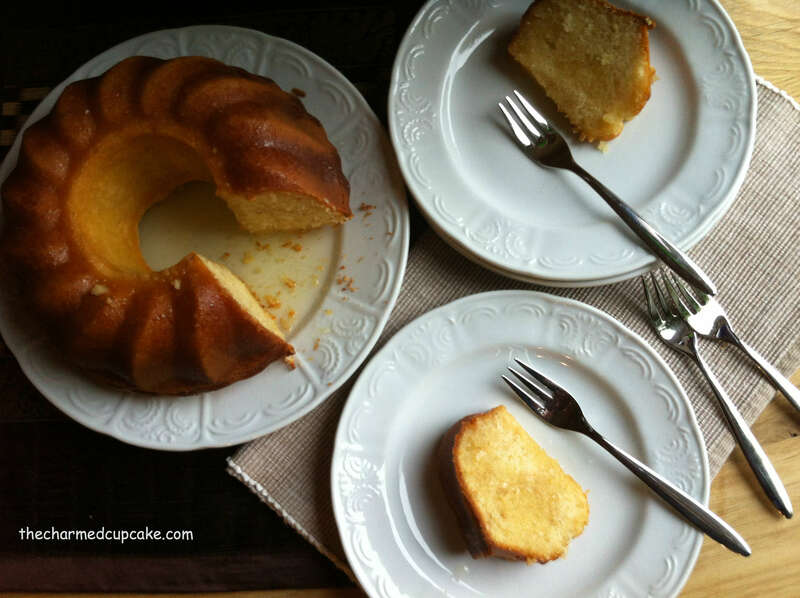 This is a very simple yet delicious cake to bake a day in advance. A definite keeper in my household. Please be sure to check out how the other members of this bake went here. looks stunning. I love bundts & yours is gorgeous. Yummy yummy.. it really look delicious,, going to make mind too. I love lemons and oranges! Anything citrus-y. Will try this for sure. Your cake turned out great with the changes you’ve made! Yes, this is definitely a keeper recipe! 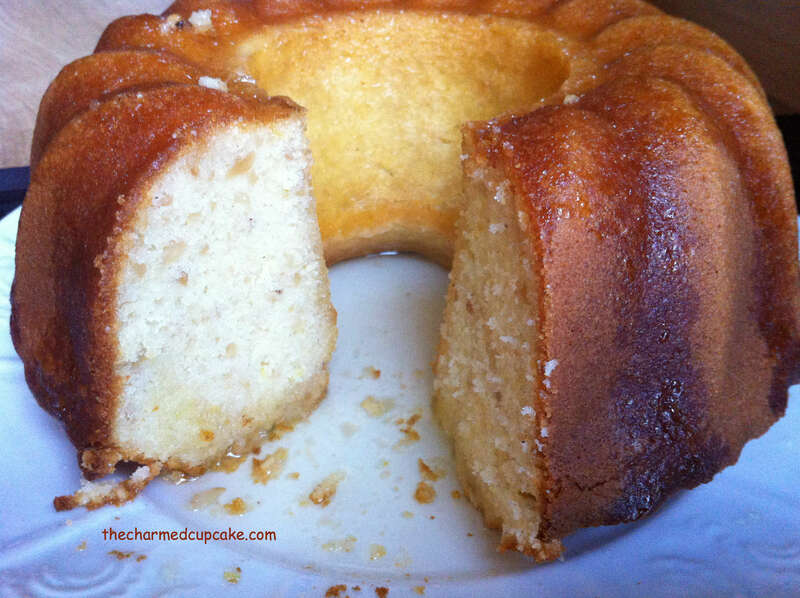 I love lemons and the lemon glaze is just wonderful, being lemony and not too sweet! A definite keeper recipe!